The Times Higher Education has released the latest episode of its annual university rankings, “The Times Higher Education World University Rankings 2016-2017” for the current year. Only 7 Pakistani universities made to the top 980 of the World’s best universities. The Times Higher Education ranked 980 universities from 79 countries in its 13th annual release. These universities were further chosen from a pool of 1,313 universities. Only three of Pakistani universities ranked in the top 800 of the World’s best universities, with four being ranked in the 800-978 bracket, by the Times Higher Education. The COMSATS Institute of Information Technology was ranked at the top, followed by the National University of Sciences and Technology and the Quaid-i-Azam university, all of which were ranked in the top 800 of the world’s best universities. The University of Agriculture Faisalabad, followed by the Bahauddin Zakariya University, University of Karachi, and the University of Lahore were ranked in the 801-978 bracket. The University of Oxford topped the table, by becoming the first ever UK university having been ranked as the World’s best university through the last 12 years. The second position was clinched by the California Institute of Technology, while the Stanford University stood third. The report, however, indicated that the Asian universities were rapidly closing in to the top. Two Asian universities entered the top 100 bracket, four joined the 100-200 bracket, while a university from India, making it to its best ever position, closed near to the top 200 spot. The rankings from the Times Higher Education do not exactly conform to the people’s general perspective or not even to its other counterpart reports. For example, the recently released World’s University Rankings by QS didn’t rank the University of Oxford on the top, or not even in the top three. Likewise, the Massachusetts Institute of Technology which was ranked first by the QS was ranked fifth by The Times Higher Education. The pattern existed for Pakistani universities as well. The National University of Sciences and Technology, ranked first by the QS, was ranked second by the Times Higher Education. The Times Higher Education ranked the COMSATS Institute of Information Technology on the top, a university which didn’t even made it to the rankings by QS. This issue probably could have occurred due to ranking criteria, which is different for every ranker. The Times Higher Education, as per its grading criteria, analyzed universities on about 13 factors, which were further grouped on five grounds – the learning environment (30%), research (30%), citations (30%), industry income (2.5%), and the international outlook (7.5%). QS, however, uses a different grading methodology. It accredits 40% weight-age to the academic reputation, 10% to employer reputation, 20% to the student-to-faculty ratio, and 20% to the citations per faculty. Among other factors are the international faculty ratio (5%) and international student ratio (5%). 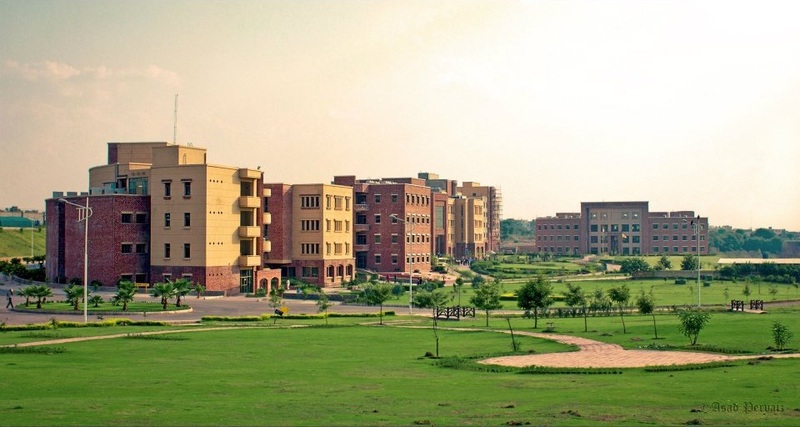 The post COMSATS takes over NUST for the best Pakistani university, the Times Higher Education appeared first on TechJuice.